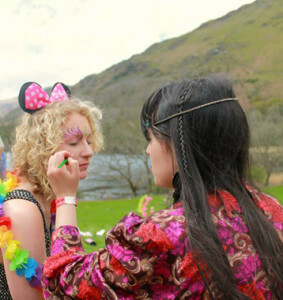 The MicroBurn is a not-for-profit community which is inspired by Burning Man principles and wants to make events that are run with this sort of ethos accessible to the people in more Northern areas of England and the UK. We began in 2014 and have now built together several events forging a growing community across the UK, Ireland and even including visitors from around the world. We’re super excited to be creating further opportunities for people to engage in and experience “Burner culture” and to help us build that culture together through participating together, dancing, hugging, laughing, singing, working and thriving. Everyone who attends the MicroBurn contributes with a ticket – every single person. The event is built using the money from those tickets, and through the work of every single participant. There are no spectators here. 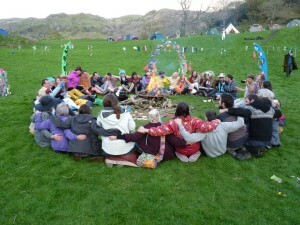 Participation could involve taking a shift collecting tickets, cooking food and cleaning dishes, helping with set up and/or strike, running workshops or performances, building something beautiful, helping ensure we leave no trace, or contributing to the many things that need to happen in the background for the event to go ahead. We believe that when you come together and do what you love, magic happens. No, sorry, we don’t believe that… we witness it. We MicroBurners like to enjoy ourselves. We cannot deny that we have loads of fun. However, we are also very aware of the impact we, as human beings, make on the environment, and the kind of work that is required to allow that fun to continue year after year. 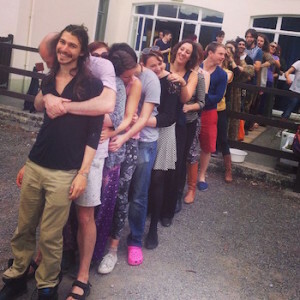 Inspired by the principles of Burning Man Festival, Burning Nest, Nowhere and the multitude of other similar events, our event is yet another cradle for the eco-conscious creative people of the UK who are willing to work together instead of for one another. Here we gather, create, work hard and build something great that we an thoroughly enjoy, while minimising the effect we have on the environment. If you plan to join us and our merry community, please make sure you read and understand the principles that guide our ethos. MicroBurn is entirely co-created by volunteers – no one is paid, no one profits. This is an essential part of the Principles that guide our ethos. In order to be explicitly transparent about this, we freely publish our accounts here for you to read, if you wish to know exactly where the money from the event is being spent. Please email team@microburn.org if you have any questions or concerns about our accounts – we will be happy to discuss them with you.